On Monday morning at 8 a.m., summer break was over. Six weeks of freedom and rest and quietness had come to an end. What people outside the teaching profession don’t know: Going back to school after the big break is like turning a switch. Within one minute you go from silence to full-on noise, from solitude to crowded hallways, from rest to total chaos. One hour in and you feel like the holidays are already light years away. Sore feet, messed up brain, tired soul. All I could feel, when I feel into bed at night, was exhausted. That’s not all what I want to feel. This can’t be it. When we are stressed, we often lose focus and overlook the really important things. In the midst of our busyness, there are these little moments of joy. In the hectic of our task-driven lives, there are these beautiful encounters of human connection. In the sea of faces, there are these special people who stand out in the crowd and surprise you. Beyond the endless to- do lists there’s the gift of Sabbath and the promise that we are not what we do. Watch out for the essentials. Pay attention to what’s hidden in the crowds. 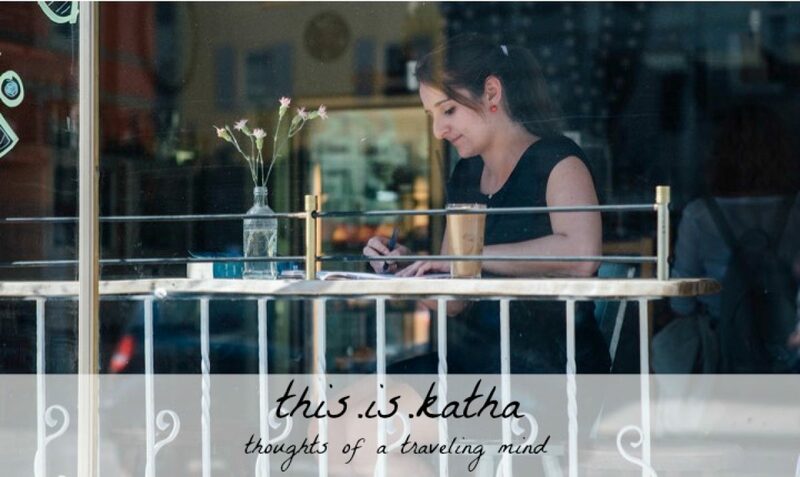 Author Katha von DessienPosted on March 23, 2018 Categories English Only, Faith, Five Minute Friday, Just Life, Teaching6 Comments on Is This My Life? This space has been empty a few Fridays in a row. I opened Kate’s page early on Friday mornings to check what the prompt was as I usually do. Then I would mull over a few thoughts and start typing. Not in the last few weeks. I was just blank. Even after a few hours of thinking and pondering, nothing would come to mind. Nothing. I felt like I had nothing to say. So I left this space blank. Week after week passed, Friday after Friday I grew more frustrated and angrier at myself. Where has all my creativity wandered off to? If I compare my soul to a garden, there are different kinds of flowers and plants. Together they make a beautiful diverse image of creation, but each of them needs different care and nurturing. Inspiration is a very delicate plant in this soul garden. It is planted deep inside everyone of us, but it will only grow depending how we take care of it. It’s so easy for inspiration to be suffocated with the thistles of busyness – a dangerous plant that grows like crazy if we don’t pay attention. It will drain the soil and leave us empty inside. I have been so busy lately with finishing off the school year while launching a book that I was too busy to pay much attention. Busyness had tied me up and I never really had time to stop and rest. It can be hard to find inspiration in the midst of busyness. That’s why it is imperative to train our eyes to look for it, no matter how many thistles grow in our garden. I have lost the focus on beauty in the mundane a bit in the last few weeks. And slowly by slowly, sentiments like frustration and anger have settled in my heart. I snapped at students, I got frustrated with colleagues, I didn’t see the good in others anymore. The bright and colorful garden had turned grey for me because I looked at it through the wrong filter. Beauty is already here, right here and now. And I need it more than I can imagine. Only when I am able to admire the wonders around me, only when I allow God to speak to me, I am able to draw from that inspiration deep inside of me and truly create. While I work in the garden I often get distracted by that voice inside of me. No one is going to read your words anyway. Your work has to be perfect. Far too often I give in to that voice. It’s like someone is slamming on my inner breaks and my hands are tied, I just.can’t.write. Instead of tending to the musings of my soul and responding to the inspiration inside of me, I worry about formats and what others will say about it. I fall for false expectations and am left empty in the end. What can you find in the garden of your soul? With summer approaching I want to take better care of my garden and all the different plants in it. I want to be intentional about resting more. I want to listen more before I do. I want to look out for beauty all around me. I want to protect my inspiration from lies and distractions. I want to create again.